Parallels has been known for years making virtual machine software that allows Mac users to run a Windows instance on their Macs. As enterprises have opened up their support for Apple Mac users in addition to typical Windows systems, Macs have proliferated in common work environments. However inevitably, there’s “some app” that only runs on a Windows system where Mac users need the ability to run both a Mac and a Windows operating system, which has driven the ongoing demand for a solution like Parallels Desktop. I’ve had an opportunity to work with the latest release of Parallels Desktop 12, and have found Parallels enhanced the latest edition with functionality that is making my cross-platform usage easier and better. I’ve been a Mac user for many years, and like with most Mac users, there are occasions when I have core business apps that require me to run Internet Explorer for a browser, or run Visual Studio for app development work, or even run Microsoft Project and Visio that just aren’t available on a Mac. And while Apple provides BootCamp where I can switch between booting from a Mac to booting as a Windows system, that means I have to constantly reboot my system to switch between operating platforms. 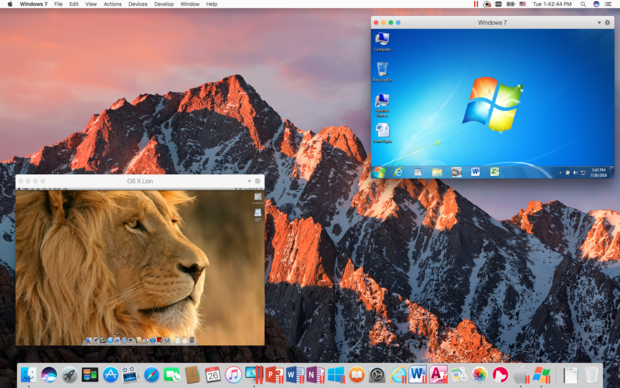 So I’ve been a happy user of Parallels for years where I can run Windows and Mac applications side by side at the same time. A few of the big things in this latest release is the seamless integration between my Mac and Windows. Unlike in the past where there was “some” integration between the Mac and Windows through the “Coherence mode” that allowed me to put Windows application icons on my Mac desktop, and allowed me to launch both Windows and Mac applications and toggle between them, there was still some quirky things that Coherence mode didn’t behave exactly as needed, or that desktop icons between Macs and Windows were merged together on both desktops polluting my workspace. With this latest release of Parallels Desktop, I now have the ability of “hiding desktop files” between platforms to tidy up my workspace, I can also very simply turn off my Mac sleep and screensaver functions without constantly having to change my System Preference settings. I can have Windows ready in the background to immediately gain access to Windows applications without having to boot the Windows VM or bring the VM out of a suspend mode. And way better support for the Retina screen on my laptop along with enhanced graphics capabilities for instances running in Windows on my Mac screen. ALL things that seem pretty simple, but now actually make my integrated desktop between Mac and Windows a lot cleaner. 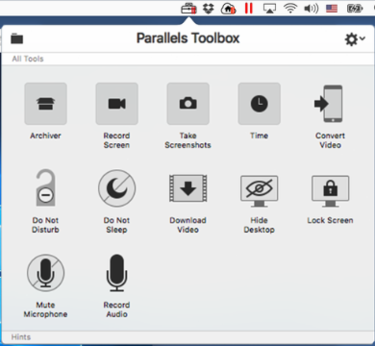 Also included in Parallels Desktop 12 for Mac is a program called Parallels Toolbox for Mac. I initially glossed over the functionality because a lot of what is in the Toolbox are things I already have plug-ins and utilities for and allows users to do screenshots, record videos, download and save YouTube videos, time/date/stopwatch functionality, ZIP/RAR unpacker, and the like. As much as I initially thought to myself “I already have tools for all of these things, I don’t need these Toolbox tools”, what I found was I was actually able to get rid of EIGHT (8) different tools! So I didn’t get new functionality, what I did get was the removal of a lot of apps and clutter on my system that these tools provide. 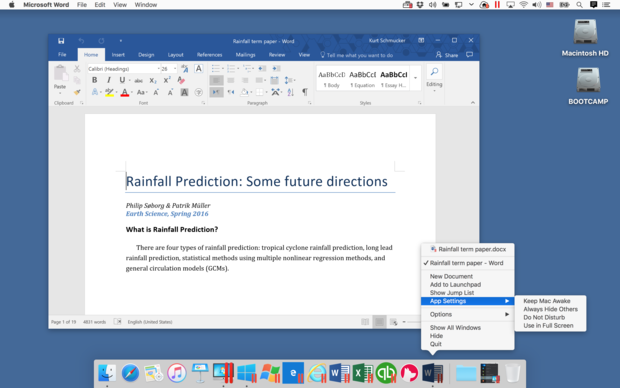 Parallels Desktop 12 for Mac can be purchased for $79.99, or those already using Parallels 10 or 11 can upgrade for $49.99, so very similar to the purchase and upgrade options of the past. 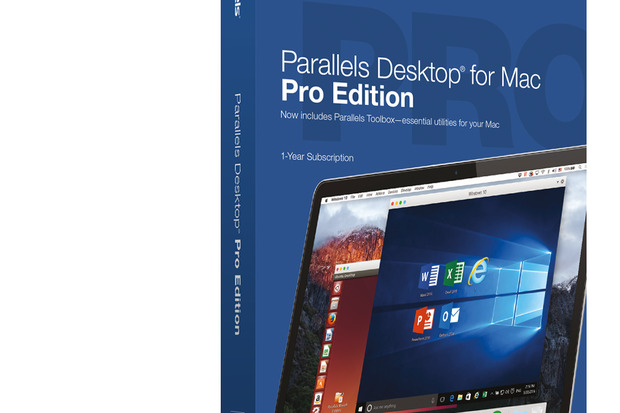 Parallels now also has a subscription price where a user can purchase Parallels at $99.99/yr, or upgrade Parallels 10 or 11 at $49.99/yr that not only upgrades the Parallels 10 or 11 license to Parallels Desktop 12 for Mac, but also provides the user a subscription to Parallels Access. I’ve been using Parallels Access for quite a while now. If you’re like me, not only do I have a Mac, but I also have an iPad and iPhone (or for that matter you can have an Android tablet and/or Android phone in addition to your Mac). Parallels Access can be used to simply provide a remote control access of your Mac from your phone or tablet, but now there’s integrated functionality that allows me to support things like my Apple Pencil. Other functions include the ability to remotely run my Windows 10 image in tablet mode when I’m using my iPad even though when I’m on my Mac, I’m running in normal Window desktop mode. Something that I use quite regularly that was in the last release of Parallels Access is the ability to move and copy files between my Mac and my tablet and phone. This has come in handy when I start a doc on my Mac, then realize I need a copy of it to review, put final edits on the doc, and send it even though I’m out of the office. With my iPhone in hand, I can launch Parallels Access, gain access to the files on my Mac system at the office, and pull down files, modify/edit the files, and then send them all right from my phone.